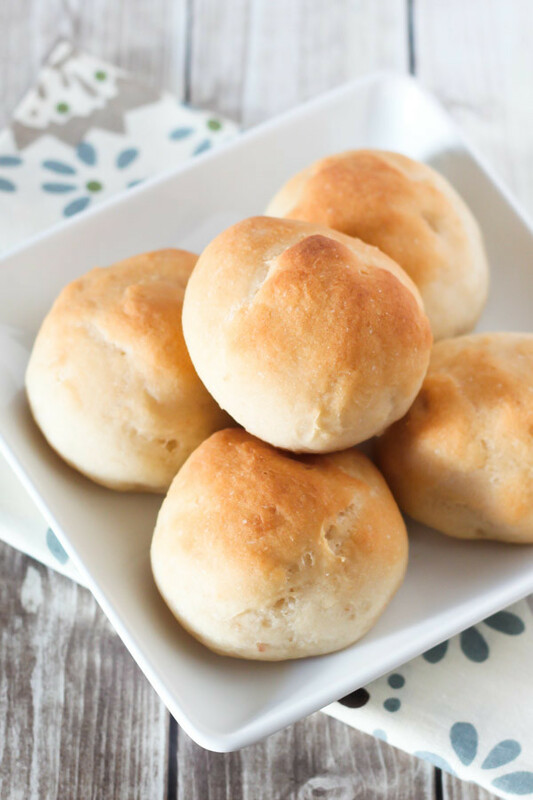 With the holidays upon us, I knew it was time to perfect my gluten free vegan dinner roll recipe. So many parties, celebrations and dinners with family and friends. You gotta have warm, homemade rolls on the able. You just gotta. Creating light, fluffy white rolls is no easy task when you cut out gluten, dairy and eggs. So many times they came out too dense and then end up totally dried out. Not these ones! I even gave them the “next day” test and they were still soft in the center. Still best served warm, I was so pleased with the outcome. My kids even requested that I make them everyday. I’ll see what I can do, my beautiful children. For this recipe, I used my new secret ingredient…psyllium husk powder. It works it’s magic in these rolls and helps with the elasticity and texture. You can find psyllium husk powder online and at your natural food stores. You can also use whole psyllium husks that you’ve ground in the blender to create a powder, which can be found at your regular grocery/drug stores. A little goes a long way so you’ll be able to make lots of yummy bread! Rolls. 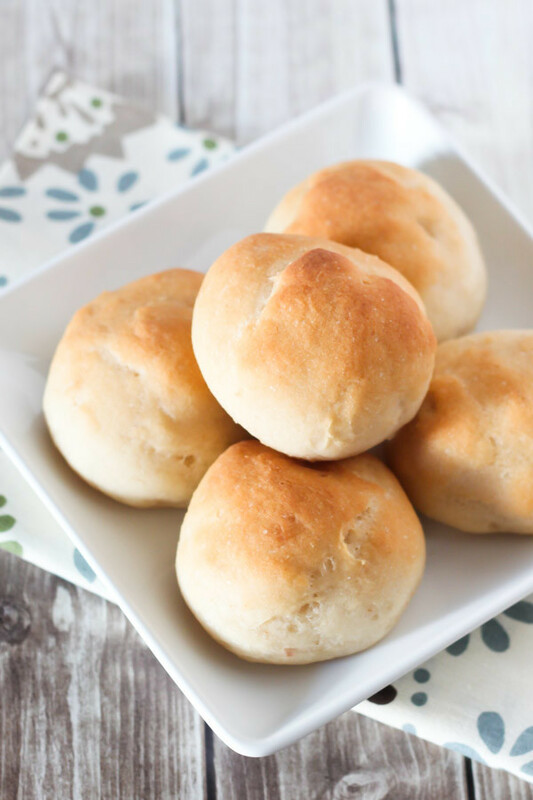 Sweet, soft gluten free vegan dinner rolls. Come to mama! In medium bowl, whisk together warm water, sugar and yeast. Allow to sit for 5 minutes to proof and become foamy. While yeast is activating, sift together flour blend, cornstarch, psyllium husk powder and salt in large bowl of standing mixer with paddle attachment. When yeast is ready, add 2 tablespoons oil to yeast mixture. Stir and add to flour mixture. Mix on low. When flour is completely incorporated, continue to mix on medium speed for 3 minutes. Using 1/4 cup measuring cup, scoop dough onto prepared baking sheet, scraping with rubber spatula. Using wet fingers, gently form dough into round, smooth roll shape. Cover rolls with light dish towel and let rise for about an hour in warm place. When dough is almost ready, preheat oven to 425 degrees. Place water bath on lower rack in oven (I filled an 8x8-inch baking dish 1/3 of the way with water). Place rolls in oven and bake 20-22 minutes or until golden brown. Remove rolls from oven and place on cooling rack. Brush tops with remaining tablespoon oil. Serve warm. To reheat, wrap rolls in foil and warm in 325 degree oven for 10 minutes. Store rolls in airtight container or ziploc bags. To freeze rolls, place in ziploc bag and freeze for up to a month. *Be sure to use white rice in the flour blend (not sorghum), to create the lighter texture. **If you are unable to find psyllium husk powder, you can grind whole psyllium husks in blender until it becomes powder. psyllium husk is my new favorite “egg” replacer too! 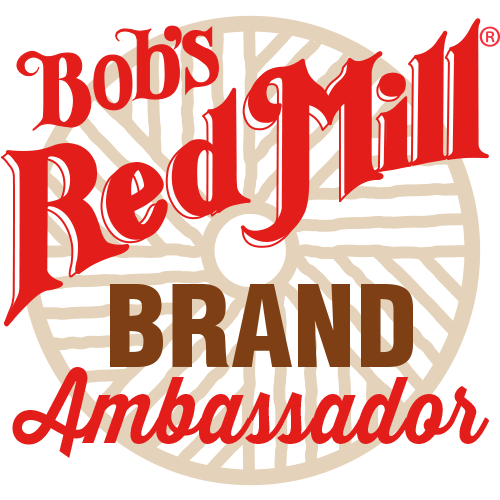 It makes the texture of gluten-free/vegan baked goods so amazing! I agree. We had been using flax, and the psyllium does make a huge difference! I just pulled a batch of these beauties out of the oven, and oh my, Sarah, they are divine! This is my new go to recipe. Thanks!! I’m so glad to hear these will become a go-to recipe in your house! yay! Thank you so much for creating this recipe. They are wonderful and totally kid approved. Making my second batch right now. I’m making these tomorrow for Easter and wondering if there is any difference between the rolls using cornstarch or tapioca. I have both and just want the best rolls ever. Thanks! There shouldn’t be much difference. I just always use cornstarch! Ok, for anyone wondering about going to the expense of trying yet another flour mix or recipe, DO IT! We have tried countless scratch and store bought recipes and products and they have been awful. These are simply wonderful! They came out looking exactly like the photo, and tasting as described! We used them as hamburger buns, and as soon as a e can figure out how to do a brat bun, we will be making them. We are all highly allergic to egg, allergic to dairy, and three of the four of us are gluten sensitive , so these were a truly an answer to prayer for us. Sarah, or others, have you used this recipe for bread or anything else? yay! I’m so glad you enjoyed them, Rose! We ran out of tapioca part way through, so made up the difference with cornstarch. It was maybe 1/3 tapioca to 2/3 cornstarch. Because this was my first batch of flour blend, I have no idea how or if it affected the finished product but the rolls were wonderful! Spread lots of tapioca powder on a large rectangle of parchment paper. Plop the dough down the middle. Cover your fingers with tapioca and start pressing the dough into about a 9×13 rectangle. Melt butter or butter substitute, brush over dough leaving about a 1/2″ border. Sprinkle with cinnamon sugar mix. Start rolling the long edge up jelly roll style. The dough is very sticky, so keep a line of tapioca on the parchment as you go, keeping your fingers coated. It will seem messy, but don’t worry. When you have it rolled up, put more tapioca on the parchment and move the roll onto it. Cut into eight pieces using a piece of dental floss to get under the dough, cross the ends and pull. Spray a 9″ round cake pan. Put your caramel mix of choice in the bottom, place pieces of dough cut side up on top of caramel. Let raise for about an hour, preheating oven to 350 while you wait. Use the water pan method as for rolls, bake 40mn. Immediately invert onto a plate. Sarah, What would you recommend using as a cane sugar substitute? I am sensitive to sugar but can do honey, maple, coconut sugar, etc. Thanks! I would use coconut sugar. Hope that helps! These rolls were awesome. The rolls I usually make are more biscuit like. These were great although somewhat chewy. They were a good stew or soup roll. I made them just as the recipe stated. I will recommend these to gluten free family members!!!! I’m so glad you enjoyed them, Letisha! This recipe was great I made it just as it stated and I will definitely recommend it. Sarah: I just tried baking your bun recipe, and while the taste is good, they went completely flat and almost look like pancakes. The dough was like pancake batter, and I used my cookie scoop to put them onto the baking sheet. What would happen if I added more flour? And now much, cause I don’t want to wreck them and make too stiff!!! Has anyone tried making these without yeast? We have some yeast sensitivities in our home, and I’d love to try these but am wondering how they might turn out if we exclude the yeast. Is it possible to sub the yeast with anything?? Made these for Thanksgiving tonight and they were awesome! I forgot to get the psyllium husk powder, so I went 1:1 with flaxseed meal and it was fine. Making them again for sure. Even those who are not gluten free liked them! thanks for sharing that tip, Jen! When I make regular rolls I make the dough up shape and freeze and take out and then bake. Do you think that’s possible with these? Finally able to make sandwiches again!! I use this recipe at least once a week. we have so many dietary restrictions and too many failed attempts at anything that resembles bread. This recipe works every time. I now add 1 extra tbs sugar and 2tsp baking powder to give it more rise. Thank you for this gem! OMG Sarah! My son keeps sneaking into the kitchen to steal yet ANOTHER bun! They ae amazing! Thank you so much for another grat recipe! I’m so glad to hear you and your family are enjoying them! We FINALLY got to enjoy the smell of fresh baking bread in our home again this weekend!! These rolls are fantastic Sarah; we can’t believe how soft they are, with that lovely crust! You truly are a master of gluten free, and vegan, baking; thank you! I’m so glad to hear you enjoyed them so much!